Crown Prince Mohammed bin Salman and Prime Minister Theresa May are aiming for 65 bln pounds of new trade and investment. The kingdom’s liberalisation push could help post-Brexit Britain. But bilateral trade is just 8 bln pounds a year. And both leaders face challenges at home. British Prime Minister Theresa May and Crown Prince of Saudi Arabia Mohammed bin Salman on March 7 agreed a “landmark ambition” for around 65 billion pounds of mutual trade and investment opportunities over the coming years. 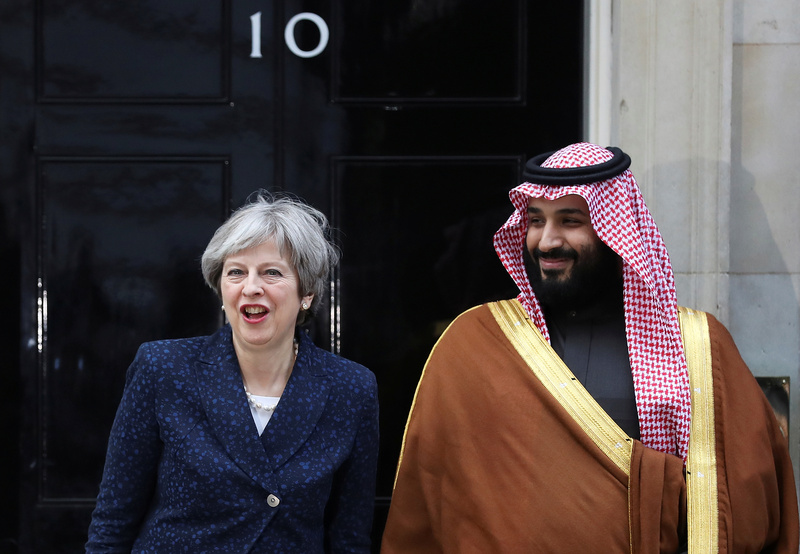 The figure includes direct investment in the United Kingdom and new Saudi public procurement with UK companies, according to a statement from May’s office. The move was “a significant boost for UK prosperity and a clear demonstration of the strong international confidence in our economy as we prepare to leave the European Union”, the statement said. The Saudi delegation met May and senior ministers inside Downing Street to launch a UK-Saudi "Strategic Partnership Council" – an initiative to encourage Saudi Arabia's economic reforms and foster cooperation on issues such as education and culture as well as defence and security. Britain is vying to land the stock-market listing of state oil firm Saudi Aramco, but no decision is expected this week. Jeremy Corbyn, the UK opposition leader, called on May to suspend arms deals to Saudi Arabia while Saudi-led bombing of Yemen continues, Reuters reported on March 6.